The first freight train service linking Xi'an, capital of northwest China's Shaanxi Province, with Moscowin December 2016. The devaluation of the ruble and China's desire to increase railway freight to Europe led to a 36 percent growth in Chinese cargo transit through Russia in 2016. However, the sea route is still cheaper. In the beginning of 2017, China launched yet another railway freight route to Europe. 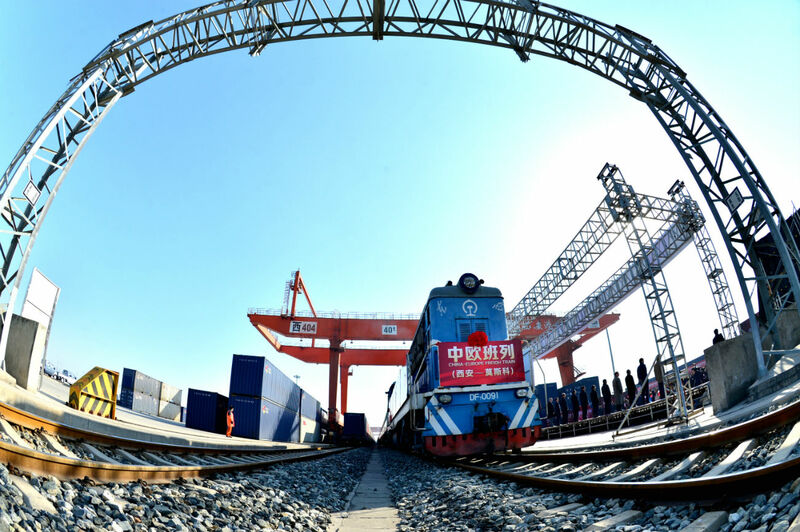 The new route connects the city of Yiwu in eastern Zhejiang province with London, making it the longest railway freight route in the world. It takes 18 days to cover the journey of 12,000 km, and the train passes through Kazakhstan, the European part of Russia, Belarus, Poland, Germany, Belgium and France, before reaching the UK. Yiwu Timex Industrial Investment Co., which is running the freight service, said in a press note that a train departs for London once a week, transporting household items, garments, bags, and suitcases. According to logistics expert Alexei Bezborodov from InfraNews, the main purpose behind the opening of this route may be to get publicity, as household products and clothes do not need to be shipped on an urgent basis. “Shipment time is important for expensive products such as auto kits, electronic equipment, and computers,” Bezborodov told RBTH. According to Finam analyst Alexey Kalachev, rail transportation offers just one advantage over the sea route - time. It takes 30 to 45 days to send goods to Europe from China by ship. The sea route is cheaper and ships have a larger carrying capacity than trains. While a train can carry up to 200 containers, a ship can easily handle 20,000. “It may cost up to $1700 to send a container on the Yiwu to London route, whereas it costs half the amount to send a container by ship,” Kalachev says. Such a policy has already brought Russia a substantial income, as all freight trains from China cross Russia either through eastern Kazakhstan or via the Russian Far East and the Trans-Siberian Railway. The demand for rail transportation through Russia is fuelled by the devaluation of the ruble, adds Bezborodov. In 2016, the transit cargo flow via Russia amounted to 205,000 containers (an increase of 36 percent year-over-year) and earned the Russian Railways 6 billion rubles ($100 million).